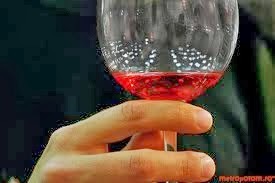 The wine is the healthiest and most hygienic drink, used to say Louis Pasteur, the world renowned French scientist. It is probably one of the rare says never changed by history and medicine. Many historians and botanists agree that the birthplace of vineyards and wine making must be searched in the old Tracia, partially covered by the today Romania; they also agree that vineyards are older than other branches of agriculture, dating back to impressive 8000 years ago. We have a good tradition here in Romania in producing good quality wines, as in developing a certain culture of wine drinking. I do not wish to promote drinking, any misuse or abuse is really a danger for anybody's health. But everywhere in the world, with small differences due to the local culture, drinking one or more glasses of wine daily is socially accepted. As wine and beer are the only drinks accepted as food, we should further limit to these things only. Let's compare the event of drinking a glass of wine vs. drinking a glass of beer. The wine is no doubt stronger and has more to do with celebration and enjoying life. We really enjoy life here in Romania, and love to share it. Drinking a glass of wine is not so simple. Don't drink it if you are thirsty, never pair it with fast food. Evaluate it with all your senses, trying to imagine all the work necessary from the grape to the drink in your glass. Watch it carefully, hear it, smell it and taste it. Listen to its secret story, it is a gift of God and of the people who cared about it. A fabulous Romanian scientist and a great spirit, namely Grigore Moisil, used to say that any people is entitled to a glass of wine. After having drunk it, he turns to be another people. Really an endless circle, don't take it really! 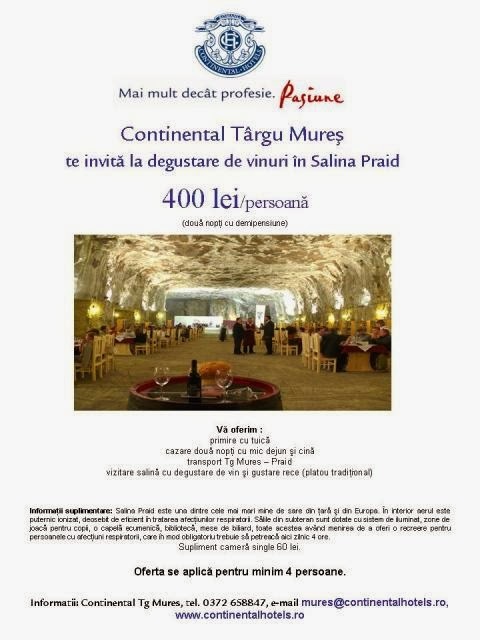 This tradition and culture of wine is very useful in the today Romania, which is among the first ten producers worldwide. Older and newer vineyards are dotted all around is this fantastic country of us. No matter corner of city of Romania would you like to visit, you will find within at least 50 km a renowned vineyards, waiting for your visit. Take it, grab it, don't hesitate. No matter the season, take a walk inside the vineyard and feel the secret energy of the land. It is useful to follow it while tasting. This short visit is of course most interesting and spectacular in autumn, during vintage. And then start the tour of the bigger or smaller vineyards with their more or less secret cellars, and don't try to dry them out through finishing all the reserves. The locals are able to talk, and talk, and talk about their wines for hours and days, it is a show of it own. Romania's biggest vineyard stretches on the spectacular hills from Panciu-Odobesti-Cotesti. Neverending surfaces, when the grape simply turns to monoculture with all the risks. Great landscapes, great views, great wines. Taste Galbena de Odobesti, Sarba, Cabernet Sauvignon and Muscat Otonel to get the spirit of the place. Probably the oldest Romanian vineyard is Cotnari, producing the same wine since centuries. Already renowned in Middle Age, the sorts of Tamaioasa, Francusa or Grasa are still in use and production today, allowing a noble experience. Much younger, but also huge and by no means worse is the vineyard from Murfatlar, enjoying an excellent soil and more sun than anywhere else in Romania. Best results are made here with Chardonay. Other reputated names to remember: Valea Calugareasca, Samburesti, Niculitel, Teremia, Jidvei/Tarnave, Lechinta etc. 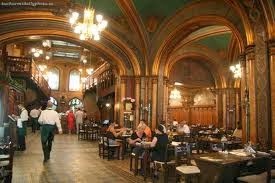 Will come back with details soon, stay in touch and book a wine tour, or a Romanian Tour!